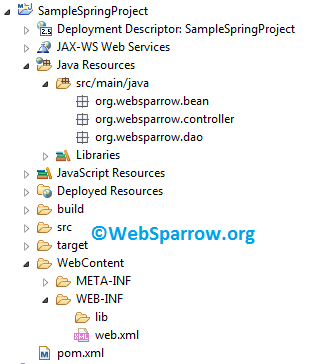 Hi Friends, Welcome to Spring Framework tutorials on websparrow.org. Before starting all the other things, first, we need to configure the Spring framework in your integrated development environment (IDE). and many other IDE’s available in the market. To develop Spring-based projects/applications, you can use any one IDE listed above but I prefer to use Eclipse IDE because it’s very easy to use, simple layouts, fast processing and it’s an open source (free). Spring also provides its own IDE named as Spring Tool Suite. It’s totally similar to Eclipse or you can say its replica of Eclipse. 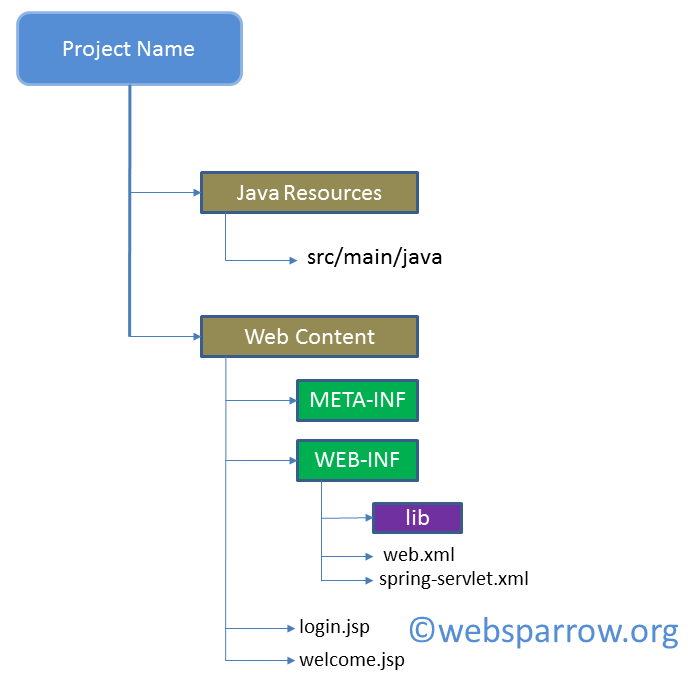 The project structure of the Spring framework is similar to other Java frameworks like Struts, Java web project, etc. To work with Spring framework, you need to create a Dynamic Web Project in your IDE. Check the simple process to create a web project. You can’t use Spring classes/API until you haven’t added the required jar files of Spring frameworks. You can resolve the dependency problem in two ways. Download the JAR file then add it into the lib folder inside the WEB-INF. You can download the JAR’s directly from this location. To clear your doubts related to project structure, I have created a sample project in Eclipse IDE to demonstrate you that how the actual project structure looks like in Eclipse. This sample project is Dynamic Web Project later converted into Maven Project.